Lance leads the band - charms Mothers-in-law, ensures military precision and efficiency both on and off stage, and is never happier than when seeing crowds on their feet, hands in the air like they just don’t care… He is high energy and often needs tying down. Lance was born into a military family and then spent 10 years as an Infantry Officer himself. Lance has sung and played guitar in bands since his teenage years. Memorable moments include playing “American Pie” to the members of three Royal Families around a log fire (long story) and being the band leader of a band in the Army where James Blunt was the “other singer”! 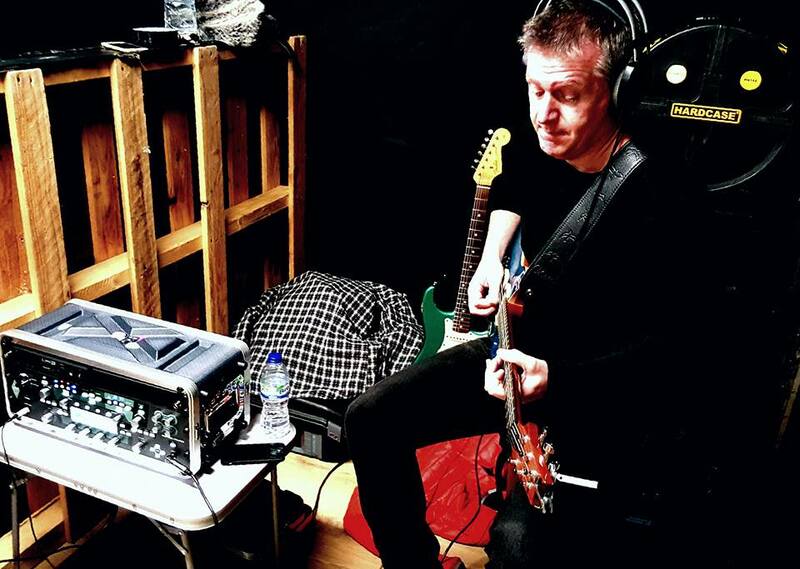 Lance put the High and Mighty Band together 3 years ago, having played in a band with Simon whilst at Sheffield University over 20 years ago…! They have played a huge variety of gigs, from festival crowds of thousands, the Commissioning Ball at Sandhurst, and society weddings, through to playing in a Big Top and watching Grandads stage dive. Amaziah is a bass player. He also plays trombone, helicon, ukulele, garden hosepipes (with a funnel stuck in the end), road traffic cones and he sings a bit. Over the years he has played in numerous bands playing blues, soul, R n B, rock, funk, jazz funk, jazz, salsa, classical and Eastern European Gypsy Music. He also runs a band called MOOOSE. 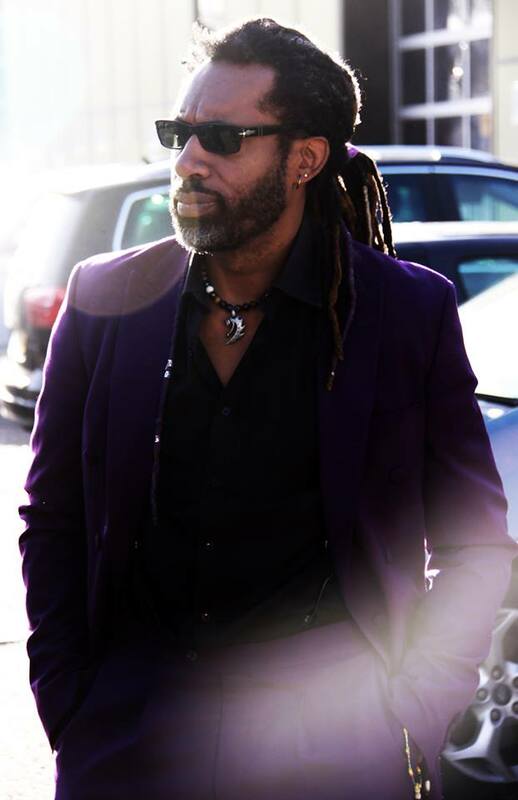 Born in Leicester in 1970, and following a classically trained education, he studied drums and percussion at Drumtech in West London, honing his skills as a freelance session musician. A diverse career ensued, touring and recording with various London based outfits, ranging from a three year jazz residency in Berkeley Square to two years playing rock in the French Alps. His musical influences include Led Zeppelin to Tito Puente, Buddy Rich to John Bonham. He brings a solid, rhythmic approach to the High and Mighty, adding a sonically disparate “mixed grill” to the musical “table”. He is married and lives in Kent with a “splendid gaggle of children and beasts”. Born in Maidenhead in sunny ‘79, Ian began learning the piano at the tender age of seven. By the time he’d sat his Grade 8, he’d also taken up the trumpet, euphonium, become a drummer and had dabbled in the dark art of bass guitar. 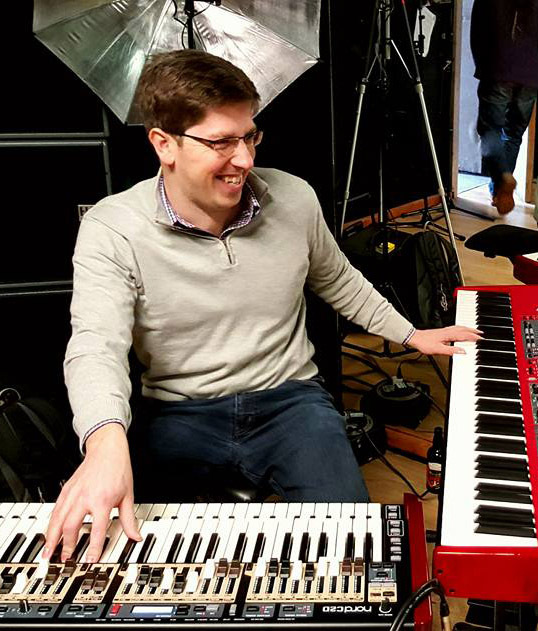 After spending three years in Birmingham studying sound engineering, he returned to the South East and now spends his spare time tinkling the ivories in jazz-ensembles, big bands and an array of function / cover bands. 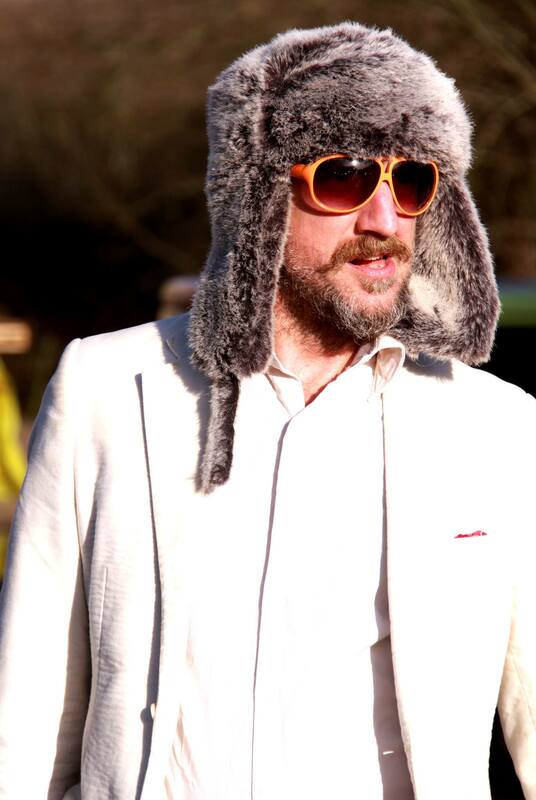 Ian would describe his musical tastes as eclectic, to say the least, but funk and soul are where his heart is at. Current influences include Cory Henry and Bill Laurence from the mighty Snarky Puppy. Ian started playing with Lance and Simon in 2009 and has spent his entire time trying to convince them that his singing backing vocals wouldn’t be a good idea for anyone. Recently married to his lovely wife Kirsty, Ian lives in Surrey with their cat Boris (who has no appreciation of music - loser).